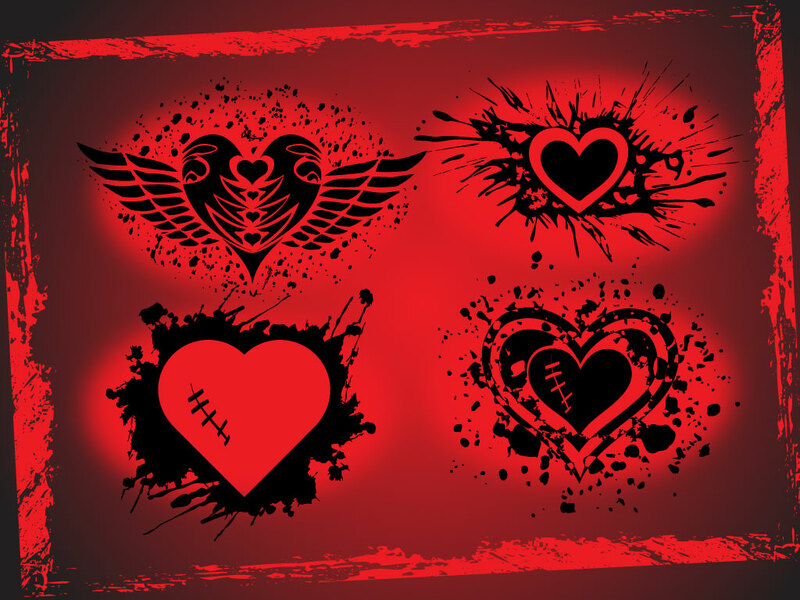 Four cool and different love heart designs to choose from in this vector bundle. Modern style graphics and hand drawn design make these a cool choice for posters, greeting cards and t-shirts. Tags: Grunge, Healing, Hearts, Love, Mending, Modern, Stitches, Wings.